A mouse took a stroll through the deep dark wood…Join Mouse on an adventurous journey in Tall Stories’ magical, musical adaptation of the award winning picture book by Julia Donaldson and Axel Scheffler. Mouse sets off on a daring adventure through the deep dark wood in search of hazelnuts, meeting the cunning Fox, the eccentric old Owl and the party mad Snake on the way. Will the story of the fabled Gruffalo save Mouse from ending up as dinner for these wily woodland creatures? Armed with only a nut map and a little courage, Mouse must outwit them all, and after all, there’s no such thing as a Gruffalo – is there? Songs, laughs and scary fun for children aged 3 and up and their adults, in a show that’s toured around Britain and the world. Let your imagination run wild! Directed by Olivia Jacobs. Creative Producer Toby Mitchell. Designer Isla Shaw. Lighting by James Whiteside, music by JollyGoodTunes, and choreography Morag Cross. Of every shape and size But there are no underpants in space So here's a big surprise! 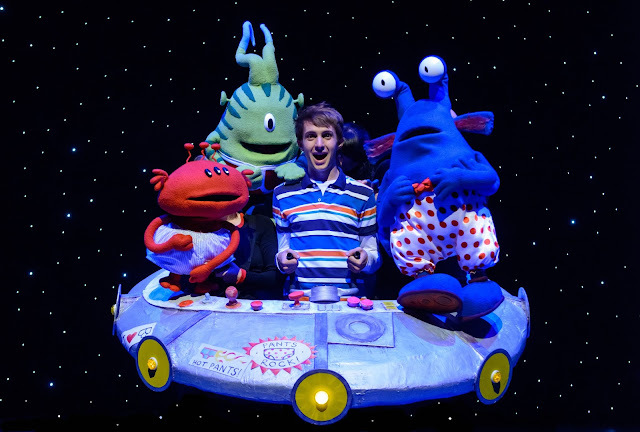 Aliens Love Underpants tells the story of a gang of mischievous aliens on a visit to earth, travelling not to visit earthlings, but simply to steal their underpants! Silly, quirky and irresistibly fun, the show follows the aliens as they ransack the washing line on their search for pants – big and small, red or green. The love Grandma’s spotted bloomers, while Grandad’s long johns make for the perfect slide! The book, written by Claire Freedman and illustrated by Ben Cort, was selected for Richard and Judy’s Children’s Book Club with the help of pupils from schools around the UK, and has been hugely popular since it was first published in 2007. Directed Adam Bampton-Smith. Set and Costume Design by Isla Shaw. Lighting by Will Evans and choreography by Emma Clayton. Sound Shock Productions. Dare to get up close and personal! Direct from the West End, Dinosaur Zoo brings these awesome prehistoric creatures to the stage as you’ve never seen them before! 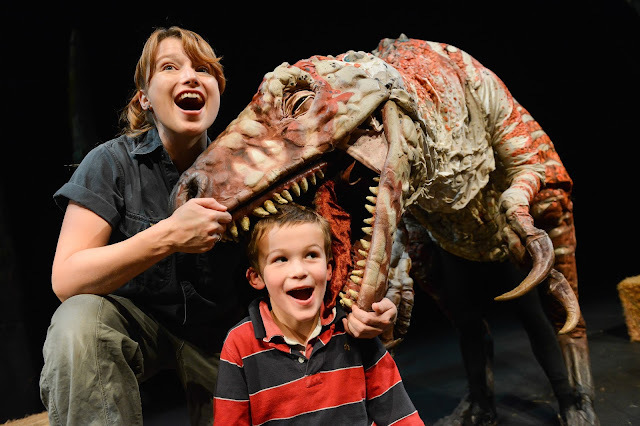 From cute baby dinos to teeth-gnashing giants, observe and interact with extraordinary life-like dinosaurs in this imaginative and hilarious live show. But watch out. Not all of these ravenous reptiles are as tame as they seem! Join after the show for a ‘meet and greet’ with the dinosaurs.